Bachelor of Science (Honours) in Zoology, PhD in Biology and Diploma in Counselling plus 20 years in consulting business. 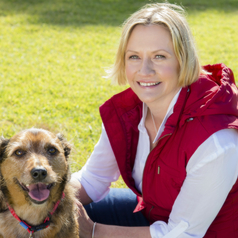 I help pet owners understand pets and solve pet behaviour problems. I also consult to commercial companies, not-for-profit organisations, local governments, media and am an adjunct lecturer at University of New England, lecturing students in Canine Science.